Born on July 22, 1890, in Boston, Rose Kennedy was the grande dame of contemporary American politics, seeing three of her children find great success. Success came with even more tragedy for Kennedy, as she lost two children in the 1940s and sons John and Bobby were assassinated in the 1960s. She died at age 104 and is survived by five of her children, 28 grandchildren, and 41 great-grandchildren. Writer, activist, fundraiser, matriarch of the Kennedy dynasty. Born Rose Fitzgerald, July 22, 1890, in Boston, Massachusetts, Rose Kennedy was the grande dame of contemporary American politics. She led an extraordinary life -- one marked by both exuberance and anguish -- and was a witness to more than a century&apos;s worth of U.S. history. Stately and courageous in the face of adversity, Kennedy endured a series of personal tragedies with uncommon composure and unshakable faith. As the matriarch of the Kennedy clan, she saw three of her sons gain election to public office -- and two of them die at the hands of assassins. Kennedy&apos;s steely determination and abiding belief in God made her the embodiment of the Irish Catholic tradition in the United States. A spirited activist, an effective campaigner, and a dedicated fund-raiser -- especially for charities assisting the mentally handicapped -- she stood as a symbol of Democratic politics at its best. But Kennedy is probably most remembered for her unswerving devotion to her family. As her son John, the nation&apos;s first Catholic president, once put it, she functioned as "the glue that...always held the family together." 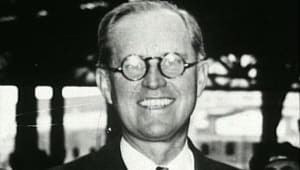 Rose Kennedy was the eldest child of John "Honey Fitz" Fitzgerald, a prominent figure in Boston politics who served one term as a congressional representative and later became the city&apos;s mayor. Kennedy grew up in the political spotlight, accompanying her father to various partisan functions while she was still a teenager. After graduating from high school at the age of 16, she wanted to attend the prestigious Wellesley College but was sent by her parents to Boston&apos;s Convent of the Sacred Heart. She later studied French and German at a convent school in the Netherlands. Upon her return to the States, Rose fell for a saloonkeeper&apos;s son named Joseph P. Kennedy. Although her father respected the young man&apos;s ambition -- Joe Kennedy became the youngest bank president in U.S. history -- he never liked the young businessman and disapproved of the relationship. Rose continued dating Kennedy against her father&apos;s wishes, and in 1914 the couple was married. They had nine children during their 55-year-long marriage. 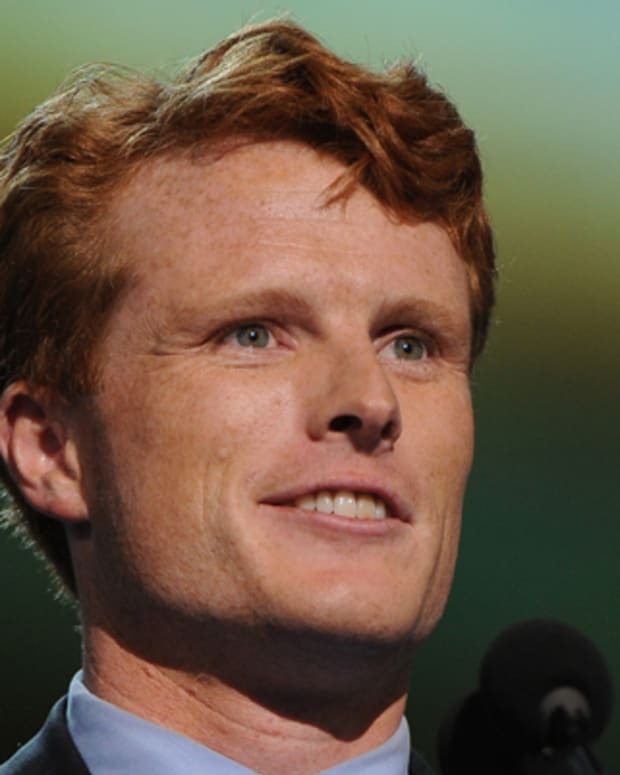 Joe Kennedy became a multi-millionaire financier. 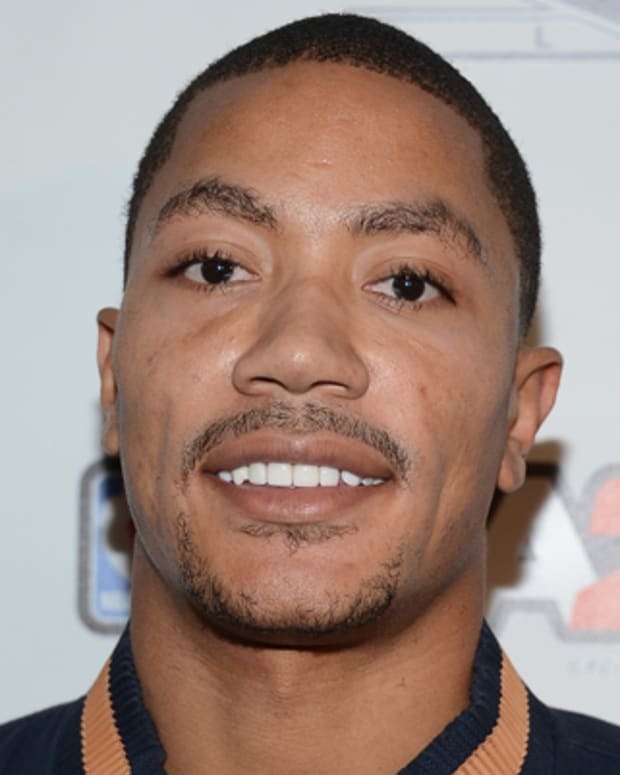 He attracted considerable attention with his sometimes questionable business dealings -- he is said to have dabbled in bootlegging -- and alleged philandering. Unruffled by public speculation, Rose immersed herself in the business of raising her family. She schooled her children in the history of the American Democratic tradition and went on to nurture the political ambitions of three sons -- John, Robert, and Edward -- vigorously promoting their careers through grass roots campaigning. In 1937 Joe Kennedy was named ambassador to Britain, and the family lived abroad for about three years. 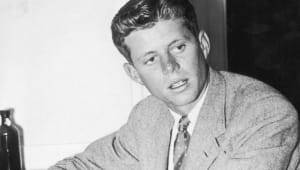 Tragedy first struck the Kennedy clan during World War II, after their return to the United States. Rose and Joe&apos;s third daughter, Rosemary, had been born mentally handicapped. In 1941, at the age of 22, she underwent a lobotomy. The procedure only worsened her condition, and she was later institutionalized. Three years later, fate dealt the family another tragic blow. The Kennedys&apos; first son, Joe, Jr., a distinguished Navy pilot, died overseas when his plane exploded on a secret mission. Then, in 1948, another child, Kathleen, was killed in a plane crash in Europe. 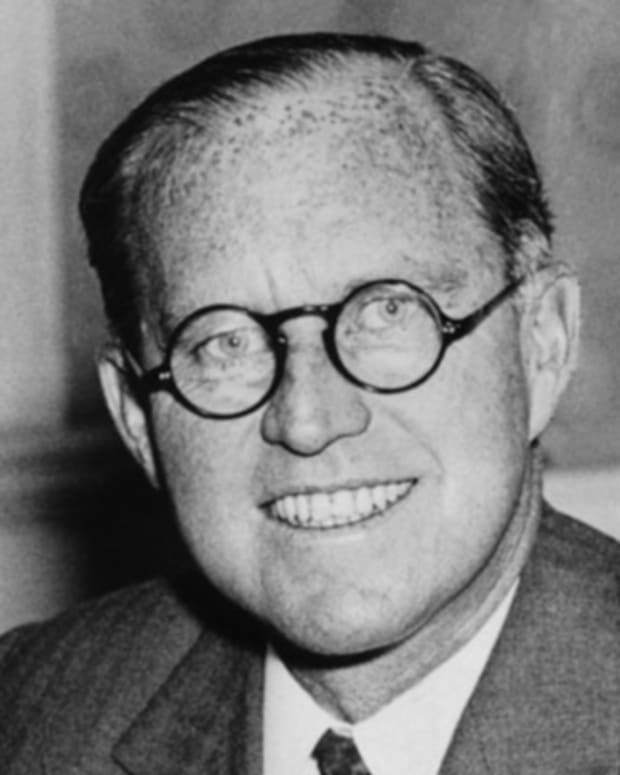 Joe Kennedy, Sr. suffered a severe, debilitating stroke in 1961, less than a year after his son, John Fitzgerald Kennedy, was inaugurated as the 35th president of the United States; he lingered for more than half a dozen years before dying in 1968. 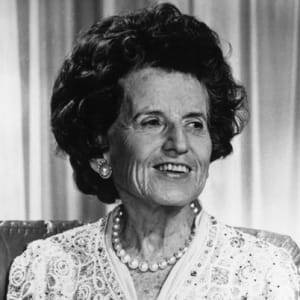 With her husband incapacitated for so long, Rose Kennedy was forced to face the most trying times of her life without him: by the close of decade, two of her sons would become the victims of assassins. 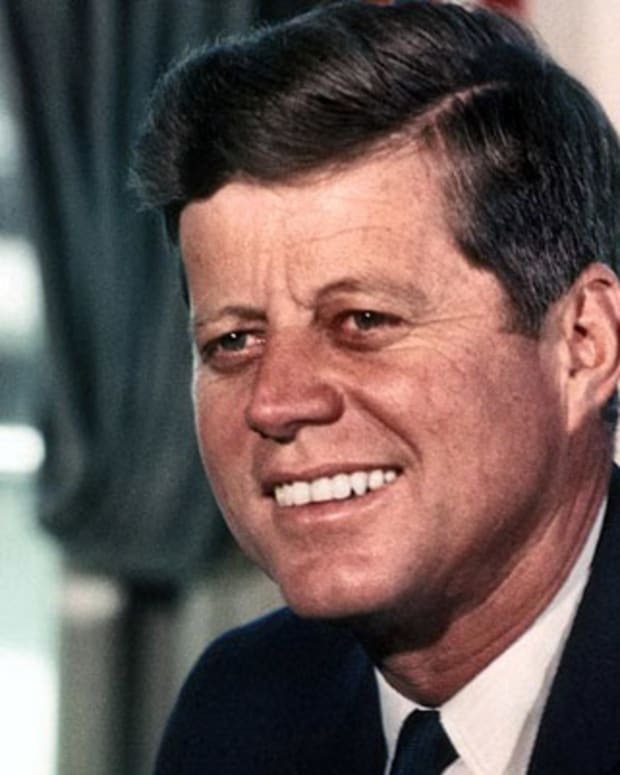 On November 22, 1963, President John Kennedy was shot to death in Dallas, Texas, while riding in a motorcade. As America mourned, Rose Kennedy found solace in religion and faced the public with poise, dignity, and restraint. She later wrote in her memoir Times to Remember: "I...wondered why it had happened to Jack....Everything -- the culmination of all his efforts, abilities, dedication to good and to the future -- lay boundlessly before him. Everything was gone and I wondered why." 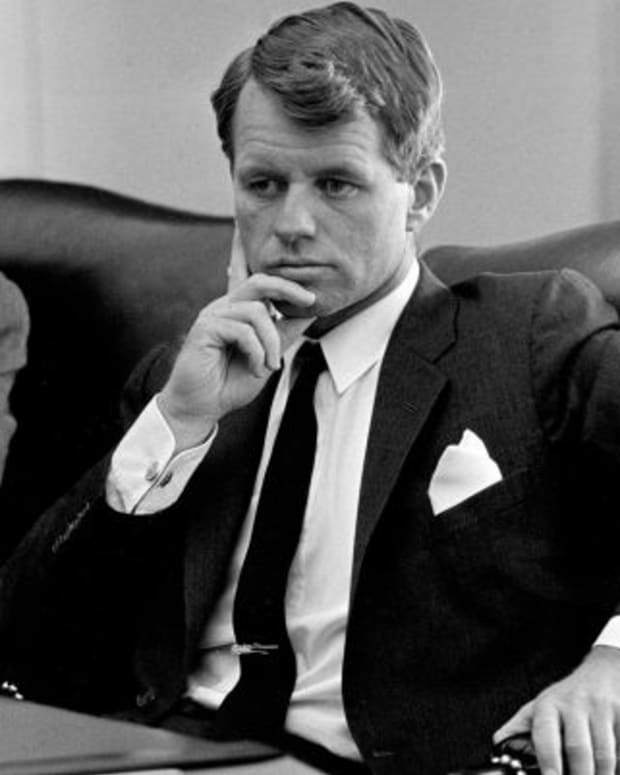 Strengthened by her faith in God, Kennedy survived yet another staggering blow: the 1968 shooting death of her son Robert, a U.S. senator and Democratic presidential contender, at the hands of an assassin. 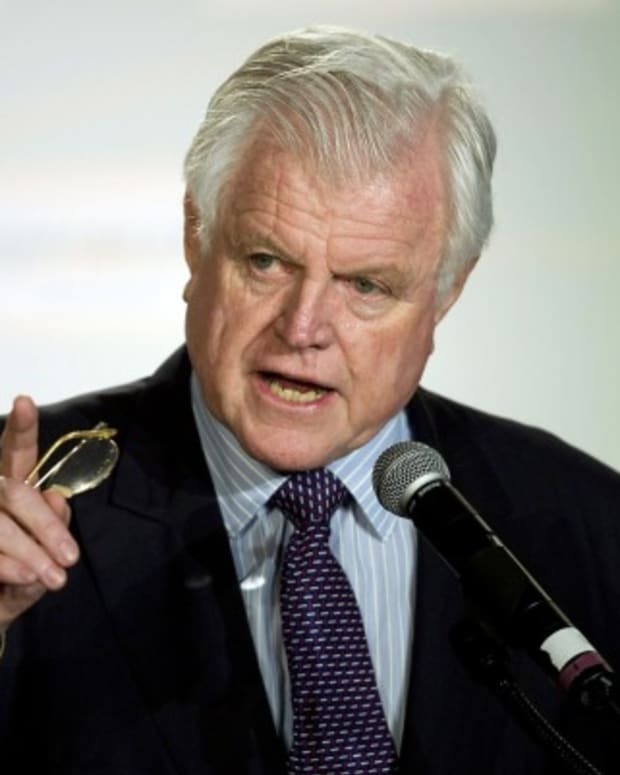 The following year, Kennedy&apos;s youngest son, Senator Edward ("Ted") Kennedy, was involved in the notorious Chappaquiddick incident, which destroyed his bid for the U.S. presidency. On July 18, 1969, the senator apparently lost control of the car he was driving and crashed into the waters off Massachusetts&apos;s Chappaquiddick Island. The accident resulted in the drowning death of his passenger, Mary Jo Kopechne. Kennedy failed to report the crash to the authorities until the following day -- a move that undermined his credibility and shook the faith of American voters. In the aftermath of the scandal, Rose Kennedy rallied to her son&apos;s aid and helped to rejuvenate his political career by campaigning for his re-election to the U.S. Senate. He maintained his Senate seat for the next three decades. Reflecting on her remarkable forbearance during crisis after crisis, Rose Kennedy proclaimed that she simply would not allow herself to succumb to tragedy. 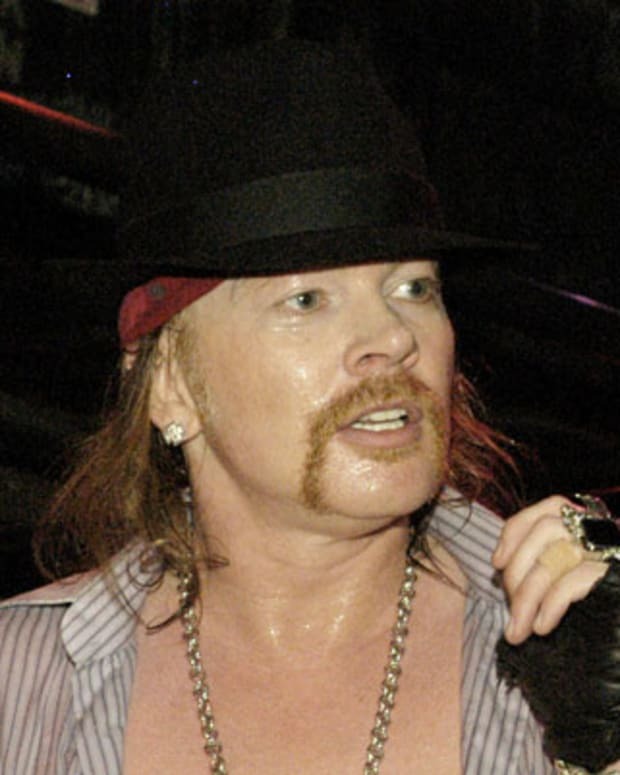 "If I collapsed," the Los Angeles Times quoted her as having said, "it would have a very bad effect on... the family." Weakened by a stroke in 1984, Kennedy spent the last decade of her life at the family home in Hyannis Port. She died of complications of pneumonia, at the age of 104, on January 22, 1995, in Hyannis Port, Massachusetts. Five of her children, 28 grandchildren, and 41 great-grandchildren survived her. As her last living son, Senator Ted Kennedy, stated at her eulogy: "She sustained us in the saddest times—by her faith in God, which was the greatest gift she gave us—and by the strength of her character, which was a combination of the sweetest gentleness and the most tempered steel." 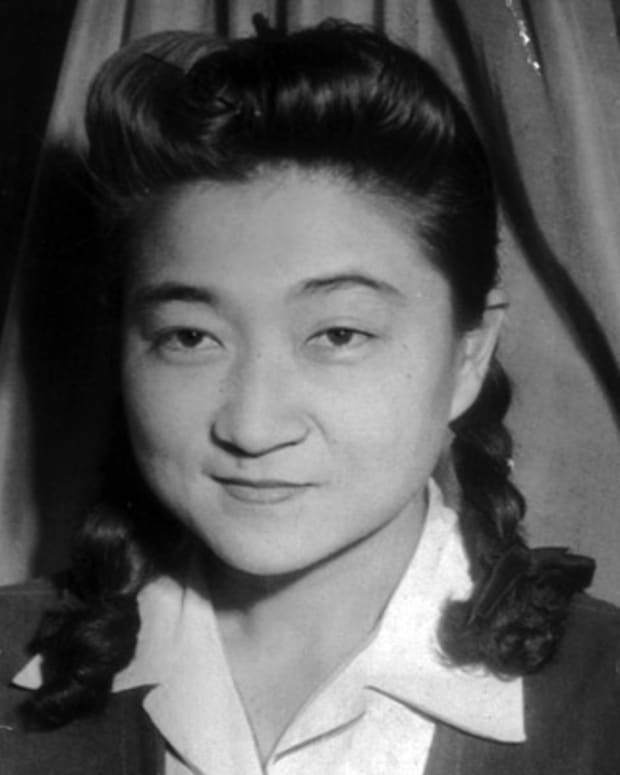 Tokyo Rose, whose real name was Iva Toguri, was an American-born Japanese woman who hosted a Japanese propaganda radio program aimed at U.S. troops during World War II. 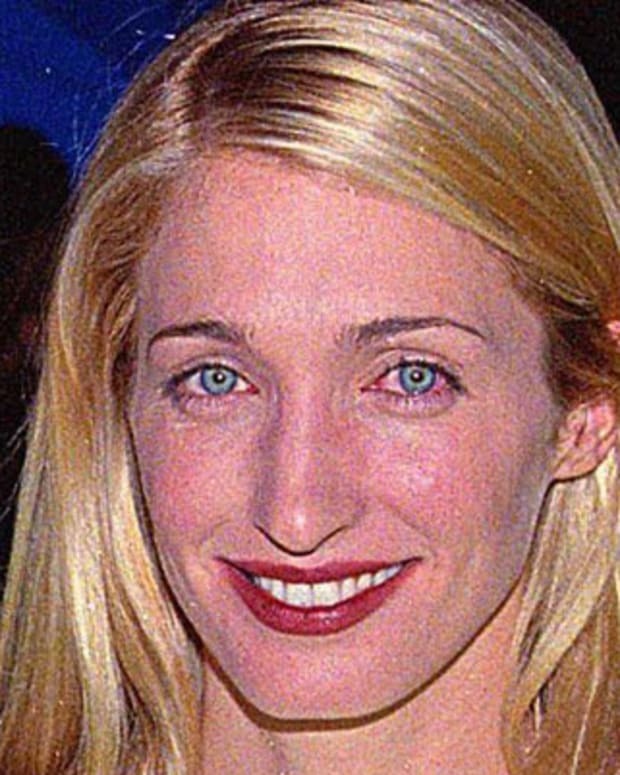 Carolyn Bessette Kennedy married John F. Kennedy Jr. and was considered a trendsetter and fashion icon. She died in a small plane crash in 1999.